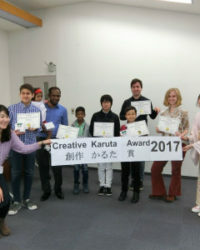 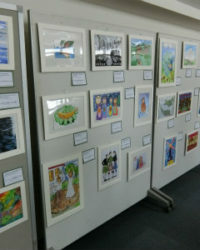 We have just completed Creative Karuta Award ceremony last Saturday with the winners and their family/friends from 5 countries such as Hong Kong, Japan, Russia Federation, Singapore, Sri Lanka. 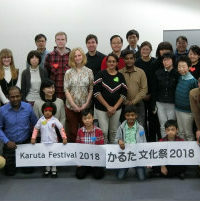 After the ceremony we enjoyed playing karuta with the Global Karuta 2017 while appreciating all original winning artworks exhibited on the venue. 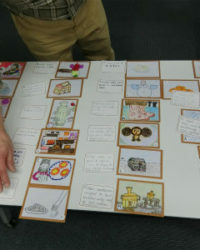 After the ceremony we had a Karuta workshop themed around Russia. 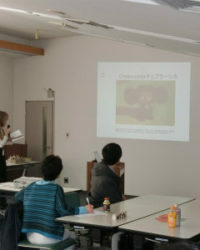 First we learned various cultural items of Russian through presentation of a guest speaker Eva who lives in Japan to study Japanese language. 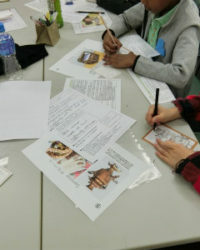 Then each of them got a topic to write a clue text and draw the picture. 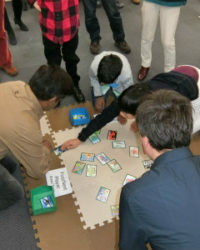 In the end we played karuta with the new cards and the winners got a prize to choose.